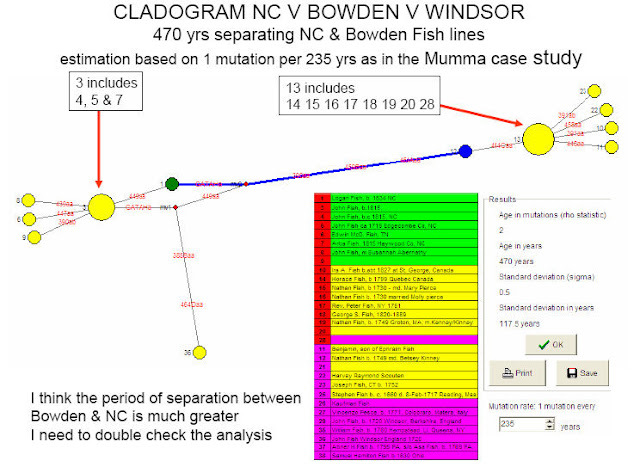 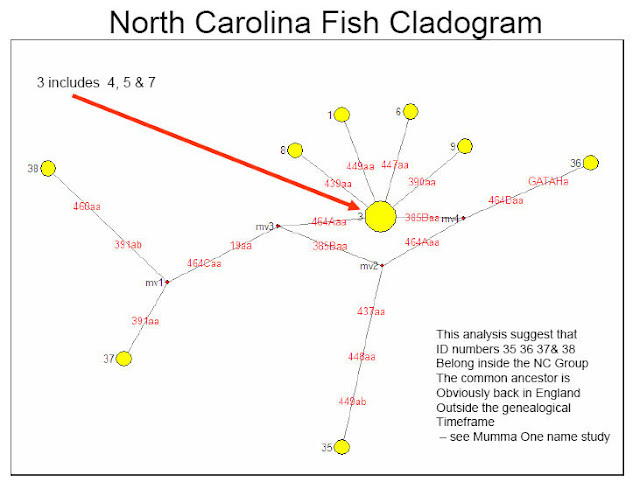 A 25 marker DNA Cladogram Statistical analysis was undertaken to include as many Fish families as possible. 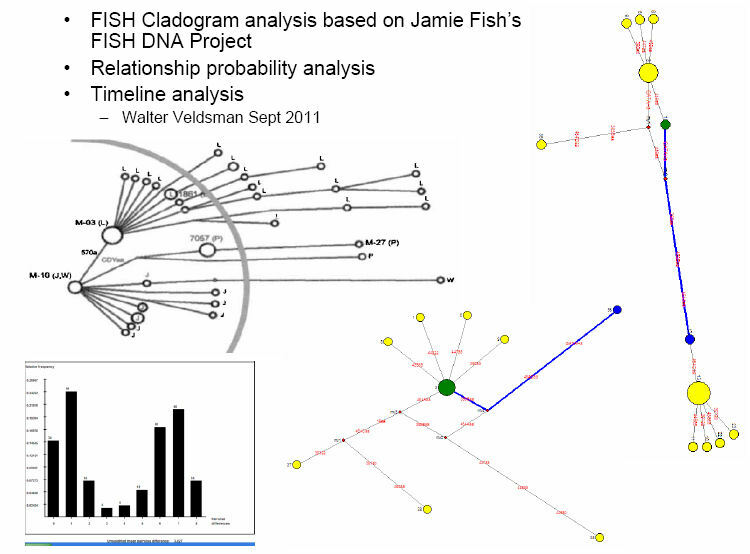 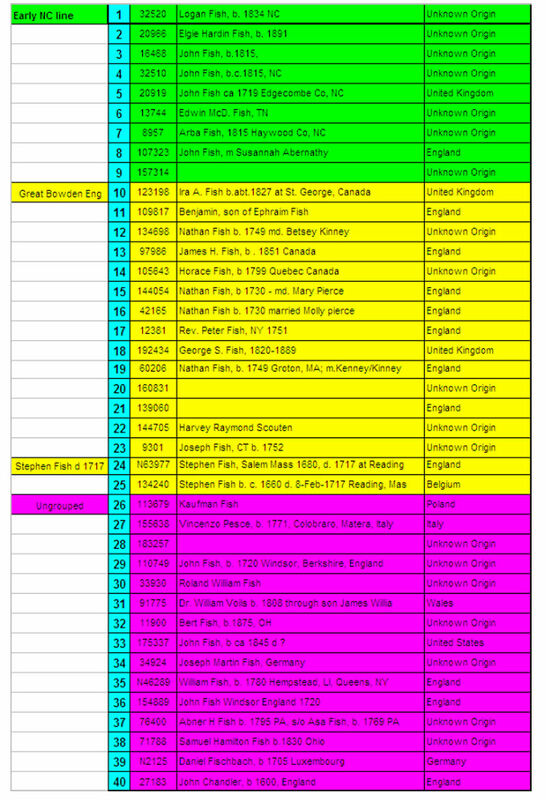 Please see Jamie Fish's Familytreedna website for the Global Fish DNA study. I undertook the statistical analysis to work out probable relationships between the various Fish branches. 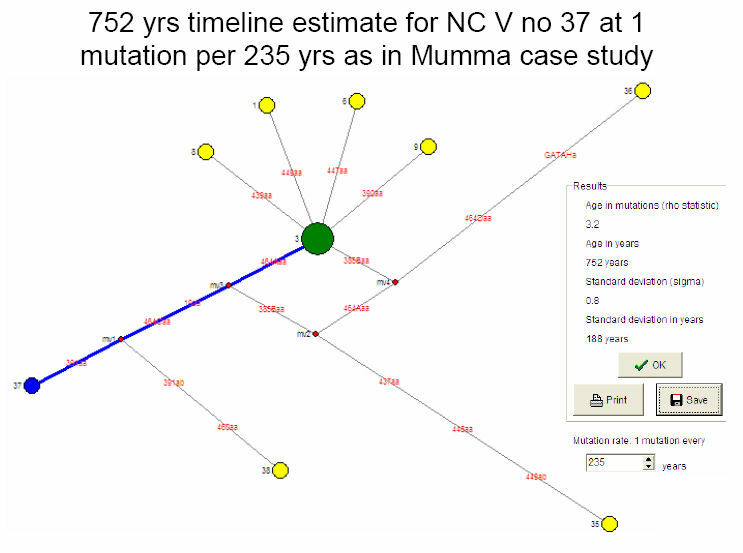 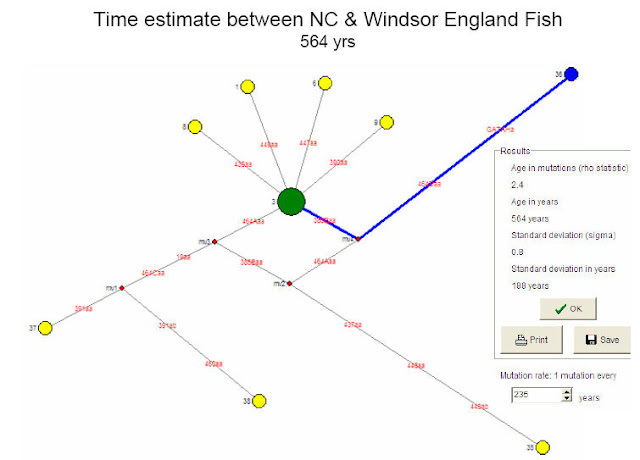 The cladogram analysis shows interesting probable relationships which may be just outside a genealogical timeframe (NORTH CAROLINA fish Vs Numbers 35 36 37 & 38).